Personalized macro nutrition coaching designed around you. The path to a leaner, healthier, and stronger you. I simply cannot say enough great things about this company, and the two wonderful ladies that run it. Their approach to macro nutrition coaching helped me change my way of thinking, about food, and fitness, and have done nothing but encourage me the entire way. 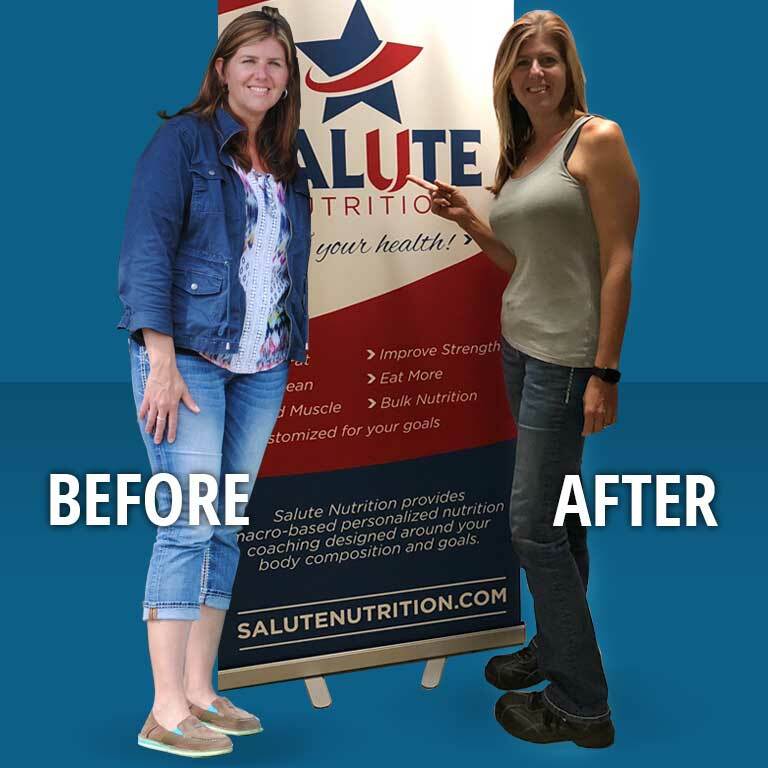 Kudos, Salute Nutrition! With the right macro nutrition coaching, a new you is just weeks away. It’s attainable and can last a lifetime. Start on your path to a leaner, healthier, stronger—and happier you. We use a high-tech initial body scan to understand your body composition—your fat, muscle, and water content. We also counsel you to understand your exercise forecast and your fitness goals. With this information, your ISSA certified coach will develop a custom macro nutrition plan specifically for you. We adjust your macro nutrition plan to bring you closer to your goals based on changes in weight, nutrition tracking information, and your exercise forecast. 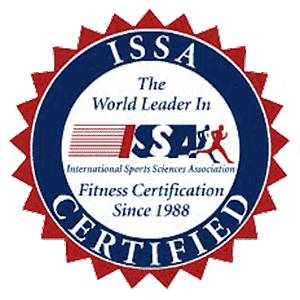 Get direct access to your ISSA certified coach to handle the nutritional challenges of daily life. You can contact your coach by phone, email, or even Facebook to get advice on how to navigate any challenge to your personalized plan. Sharing ideas and information and getting support from a community people reaching for a similar goal as you. Our macro nutrition cookbook has been carefully curated and developed by our coaches. It’s full of recipe ideas that are easy to fit into your custom plan. After 12 weeks, we use another body scan to understand the changes to your body composition to benchmark your progress. As part of this initial 12-week plan, local customers can take advantage of discounts on our low-cost body scan service for their initial and 12-week body scans for $15 each ($30 total). We’ll help you find a location near you where you can get your body scans. Unfortunately, discount pricing is not available for customers who get third-party body scans. Group or prepaid scan pricing (4 scans or more) discounted. Contact us for information. After your initial 12 Week Plan – Continue your journey towards your goal with us! If after your 12-week Personalized Macro Nutrition Plan, you still want to build on your progress, our Alumni plan is for you! Unlimited access to TWO coaches via text message and/or email. For employers that want to promote health and fitness in their workforce, we offer convenient, on-site body scan service with the affordability of group pricing. Convenient, on-site body scan to understand fat, muscle, and water content that makes up individual body composition. A detailed analysis and personal, one-on-one review of each body scan in a confidential setting. 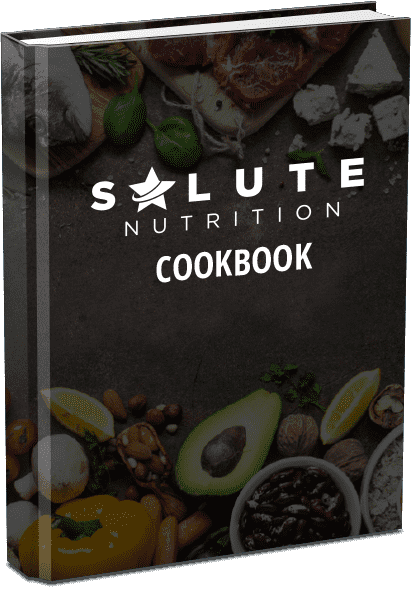 Get the Salute Nutrition Cookbook—FREE! Real food. Real simple. And with macronutrient information included. Get a variety of simple recipes for macro nutrition diets that include the macro nutritional information you need to manage your diet. Breakfast, lunch, dinner, and snack section. Plan and prepare your food for the week. In my fourth week and I’m having amazing results and the support provided by the coaches is amazing and this is coming from someone who is doing the program long distance. I couldn’t be happier! The Inbody body scanner lets us go beyond a mere scale to see understand not just your weight, but your body composition—fat, muscle, and water—in less than 45 seconds. With InBody, you can see tangible results from your programs and track your success. See how many pounds of muscle and fat you are carrying in each body segment and see how your results change over time. See the minimum number calories you need to power your body. Focus on your body fat percentage instead of a calculation like the Body Mass Index which doesn’t take into consideration your body type or lean mass. We’re here to provide you with the macro nutrition coaching to change your life. Whether your goal is to simply reduce your body fat percentage, gain lean mass, add healthy fat, or prepare for an athletic or physique competition, we will design a plan built around YOU, the individual, rather than a one-size-fits-all approach to nutritional coaching. Macronutrients are nutrients that are required by our bodies to be at optimal health and fitness. They are made up of protein, carbohydrate, fat, and water. If you don’t know your current body composition (lean mass and fat mass), you’re only guessing at the right balance of macronutrients your body needs to achieve your goals. 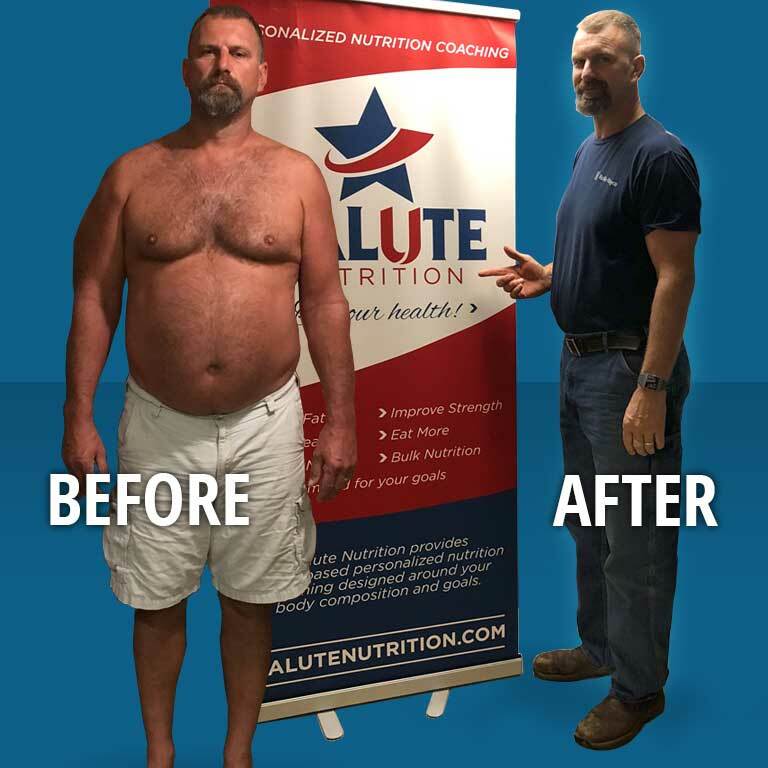 What sets us apart from other nutrition coaches is that we eliminate the guesswork to create a custom, personalized plan around your body composition and specific goals. We use the InBody 570 body composition scanner to set analyze your body composition and your benchmark for improvement. Out of town? No worries, we will find a location near you where you can get a body scan. The scan not only tells us important details for your custom macro nutrition plan, it also provides a point of comparison after you finish the first 12-week program. A second scan will show you the improvements you’ve made over 12 weeks. You’ll see your fat percentage decrease while preserving your lean mass. You will have concrete evidence to see that what we do works! We stand on providing a healthy lifestyle for you. We engage in your goals and help to ensure you’ll meet them. Our long-term, sustainable approach to nutrition is what differentiates us from other nutrition philosophies. We care about the whole person—what makes you happy and how you live your life. We strive to fit nutrition into your life instead of changing your life to fit nutrition. We believe that anyone can reach a healthy, realistic goal with the right information and knowledge. Questions? Want to get started? Contact us with any questions you have about any of our programs. Very knowledgeable staff! Took the time to walk me through a body scan and patiently explain the results. I am looking forward to seeing the results from applying what I have learned.